Is thrill in your blood? Adventurous is your other name? Being adventurous is not only the nature of young ones only. Enjoying an adventurous sport has nothing to do with age, it`s all about passion. Water sport is the best way to enjoy and also save yourself from the heat of sun. When it comes to water sports, you can enjoy various sports such as water rafting, scuba diving & surfing etc. If you are also one of those who love to participate in adventurous water sports and enjoy the thrilling moments, then I have something to add in the list of your adventurous trips. There is no doubt that India is the country of adventures. 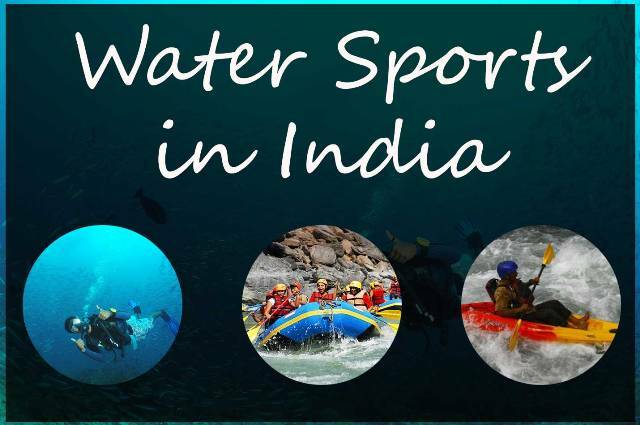 There are so many adventurous water sports in India that you can enjoy. Water rafting is one of the popular water sport in India. There are many places where people not only from India but also from around the world come to enjoy. rafting is an experience that you can never forget throughout your life. The very popular places for rafting includes Rishikesh, Zanskar, Teesta River etc. Scuba diving is also a very popular water sport in India. If you are also one of those who wants to enjoy wet suits, carry oxygen tank and love marine life than Scuba Diving is for you. 8000 Kms long coastline of India offers rich diversities under water. Goa is one of the most popular place for scuba divers. On the west coast it is the best destination for top scuba diving. You love to enjoy scuba in Goa. Other than Goa you can also enjoy Scuba diving at Andaman, Pondicherry etc. Are you one of those who love to enjoy rejuvenating water sport of surfing. You can enjoy surfing and shaking at Kanyakumari, Kovalam Beach and Goa. Do let me know which water sports you love to enjoy in India. I am going to enjoy Scuba in Goa in coming weeks, do you also wants to join me? Do share your own water sport experience.